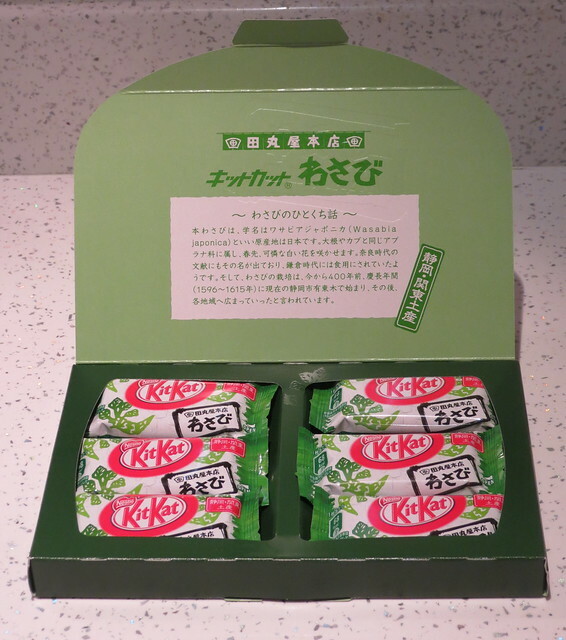 わさび (Wasabi) Kit Kats (Shizuoka) | Kit Kats! I know some people don’t like wasabi, and the idea of wasabi and chocolate together sounds strange, but don’t knock it until you’ve tried it! 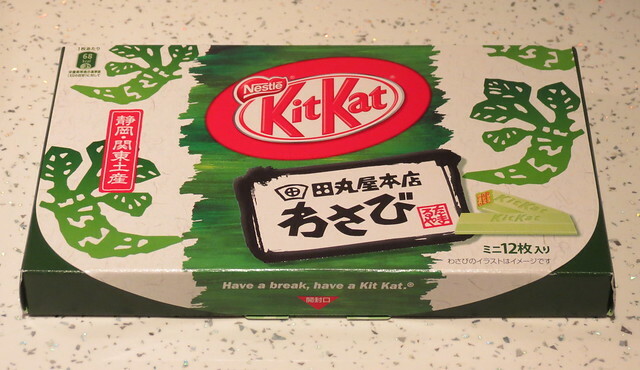 I’ve tried these わさび (Wasabi) Kit Kats before, having lived in Shizuoka, but the packaging is slightly different this time. Yikes… I have tried lots of the strange and wonderful Kitkats here in Japan, but seems to be one of the most disturbing ever. Oh no, there are much worse ones! 😉 Have you ever tried chilli chocolate? 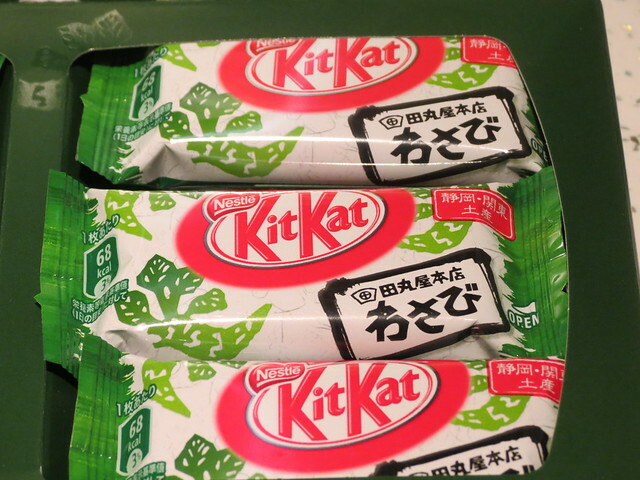 I think if you like that you might like wasabi chocolate. They taste great! I think the idea of strawberry cheesecake Kit Kat is nice and i think that wassabi Kit Kat is nice. This is because Kit Kat are nice. Put it in my tummah!!!!! !